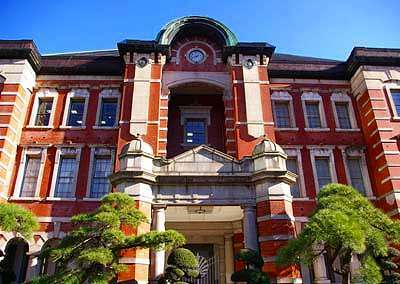 Tokyo station was built in 1914 not only as the grand central station of Japanese railway system but a symbol of the glory of the rising country. 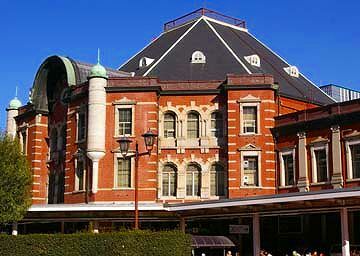 Three storied building with beautiful facade 445m wide attracted most of Japanese people as it was the nation's pride. Though the top story with its towers was blasted off by US bombers during the Pacific war, the building did not lose its beauty. After the war ended, it was repaired in two storied with new made towers. 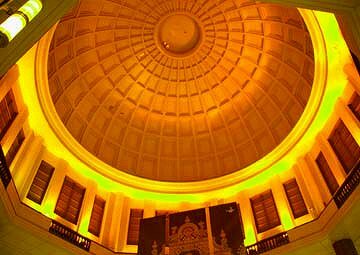 When a plan to reconstruct the building was disclosed, many people asked that the building should be preserved. Lately, a plan to rebuild it in the original image has been started. 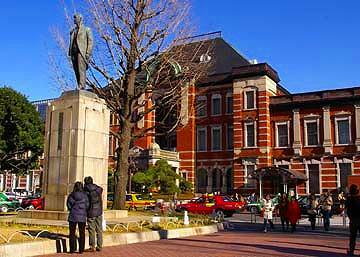 The building was designed by Kingo Tatsuno. He was one of the champions of the first generation of Japan's modern architecture. 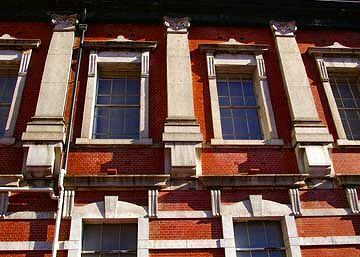 and learned English classic styled architecture. 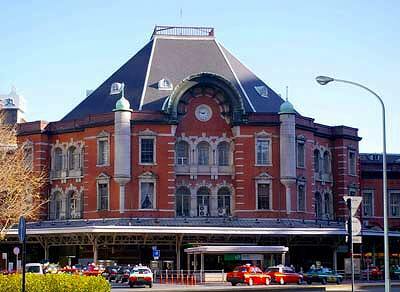 Tokyo station was a masterpiece of his latter life. The style of the buiding was called Queen Ann style. 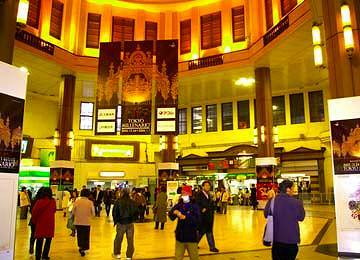 This style emphasizes the harmony between buildings and street. 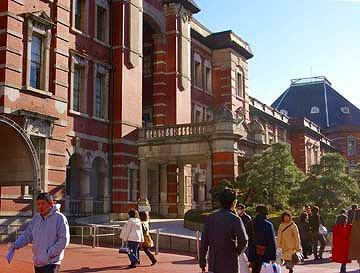 Each building was designed to show splendor on the facade. Tokyo staion looks like a row of houses along the street. 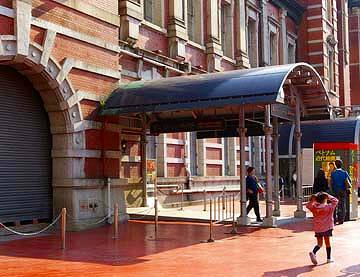 The reason of beauty of Tokyo station is the contrast of red and white.